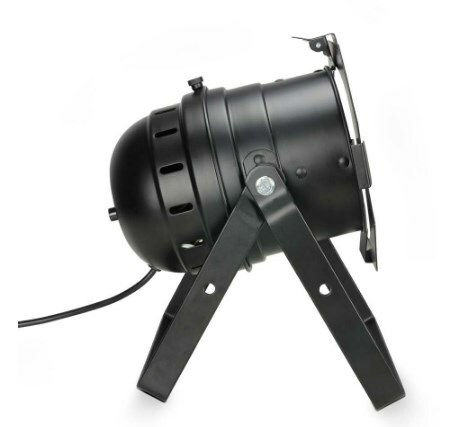 Professional PAR can with 108 ultra-bright LEDs (36 x red, 36 x green, 36 x blue) and RGB colour system in a sturdy aluminium housing and a beam angle of 25 degrees. 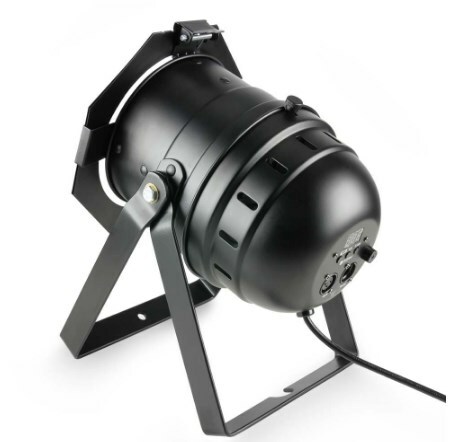 Featuring a double bracket, the CLP 56 RGB 10 BS is suitable for use both as a floor PAR and for mounting to cross-beams and bars. 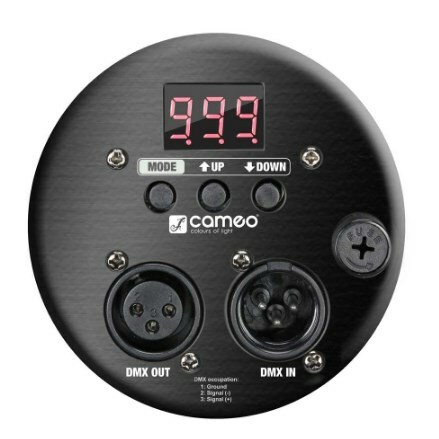 It is actuated either via DMX protocol (3-pole XLR) with four and six control channels, in master/slave mode or in standalone mode (sound control, colour change, solid colours). It is controlled by three buttons and an LED display. The power consumption of the CLP 56 RGB 10 BS is a mere 20 Watts.